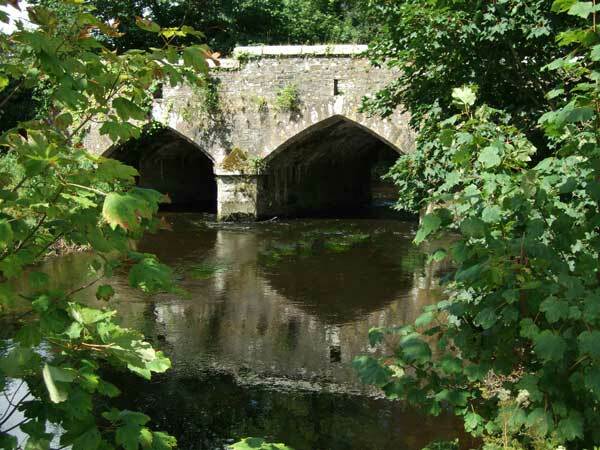 We have extensive experience of surveying bridges for bats, particular in advance in bridge maintenance works. We follow standard BCT and NPWS methodology for surveying bridges for bats. Staff involved in this work will have completed the Batc Conservation Trust’s training module ‘ Surveying Buildings (including Bat Identification)’. 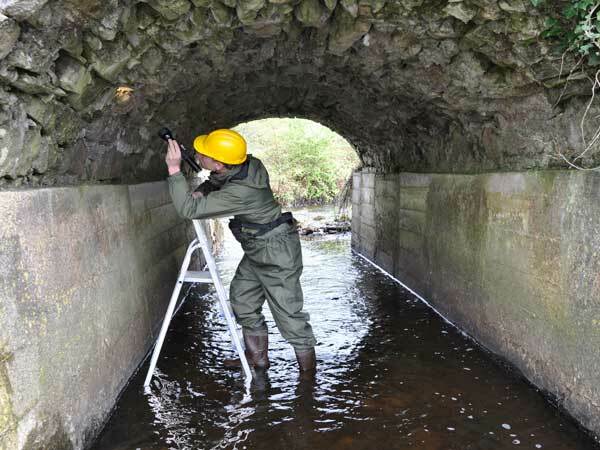 The typical approach is that the entire bridge structure is inspected using a strong, narrow-beamed torch to investigate any crevices and joints for roosting bats and to assess their suitability as bat roosts. This work is undertaken during the day. A ladder is used to survey high crevices and chest waders and life jackets are always worn while surveying. Two staff are present at all times due to health and safety considerations, All bridge walls and arches are inspected systematically. Once a bat is located it was usually possible to identify it without having to remove it from the crevice thus minimising disturbance. Bats usually roost in crevices with their heads facing to the outside so that their facial features are readily seen therefore aiding identification. A standard survey form devised by Billington & Norman (1997) is completed for each bridge. Details including bridge name, grid reference, road number (If any), watercourse, date of survey, width and speed of watercourse, construction material, height of arch, span of bridge, road width and number of arches, are recorded. Each bridge had its potential as a bat roost assessed according to the presence or absence of crevices and subsequently graded on a scale from 0-3. 0 = no potential, 1 = crevices possibly of use to bats, 2 = ideal crevices but no bats and 3 = evidence of bats. Billington & Norman (1997) consider that any crevice greater that 100mm deep and sheltered from the elements should be regarded as a potential bat roost. Evidence of bat presence is considered under the following headings; droppings, staining, bats visible and bats audible. Depending on the results obtained from the above assessment, an emergence watch is then undertaken.